Canadian soprano Adrianne Pieczonka is one of four recipients of the Opera Canada Awards ("The Rubies") this evening (Monday Oct. 6). 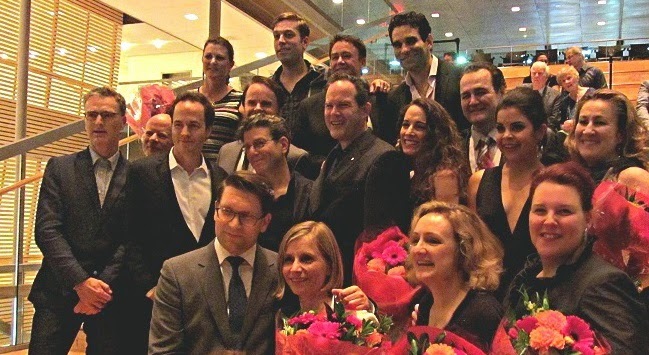 This award was established in 2000 to honour Canadians who have made significant contributions to opera. The other recipients this year are soprano/coach Rosemarie Landry, and philanthropists Father Edward Jackman and the Honourable Hal Jackman. Bass-baritone Gerald Finley, currently singing Falstaff at the COC, is the master of ceremony. There will be several singers performing, plus the Canadian Children's Opera Chorus. This event is sold out! I will be giving a full report tomorrow on the La Scena Musicale Blog. For song recital enthusiasts, there are two free noon hour recitals this week at the Richard Bradshaw Amphitheatre. 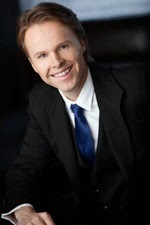 On Tuesday, tenor Colin Ainsworth sings works by Derek Holman, with collaborative pianist Stephen Ralls. Details at http://files.coc.ca/pdfs/concert141007.pdf The other recital features two new COC Ensemble Studio members, tenor Jean-Philippe Fortier-Lazure and baritone Iain MacNeil. The very well known Butterworth song cycle A Shropshire Lad will be sung by MacNeil. 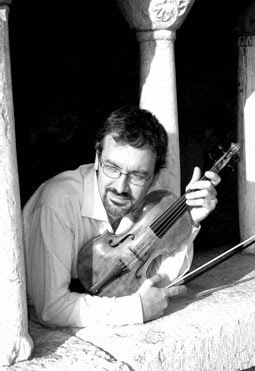 Fortier-Lazure is the soloist in the less familiar cycle, Ludlow and Teme by Ivor Gurney. http://files.coc.ca/pdfs/concert141009.pdf Ensemble Studio member Jennifer Szeto is at the piano. Be sure to show up early to secure a seat. Opera is arguably the most complex of art forms, one that combines story, text, music, sets, and costumes, brought to life by singers, orchestra, conductor, and stage director. Given its complexity, it's rare that all the stars are aligned to create a truly memorable experience for everyone. Judging by the opening night performance, the planets are indeed aligned perfectly for Canadian Opera Company's season opening Falstaff. People say we North Americans are too ready to leap to our feet for a standing ovation - perhaps, when you compare us to European opera audiences. But last evening, the total and spontaneous standing ovation was well deserved. In forty-seven years of opera attendance, this one ranks right up there with the best of them. First of all, this is an All-Canadian show. The cast is led by bass-baritone Gerald Finley, simply one of the very top singers in the opera world today. This marks his return to the COC after more than two decades, and in his role debut as Sir John Falstaff. The famous Merry Wives of Windsor are no slouch either - Quebec soprano Lyne Fortin (Alice) makes her very belated COC debut. Playing her daughter is former COC Ensemble Studio soprano Simone Osborne, opposite the Fenton of Quebec tenor Frederic Antoun. Another COC Ensemble alumna, Lauren Segal, is Meg. Quebec contralto Marie-Nicole Lemieux (Dame Quickly) returns to the Company in one of her signature roles. COC frequent guest and audience favourite Russell Braun is Ford. Even the supporting roles are cast from strength, with Colin Ainsworth (Bardolfo), Robert Gleadow (Pistola), and Michael Colvin (Dr. Caius). 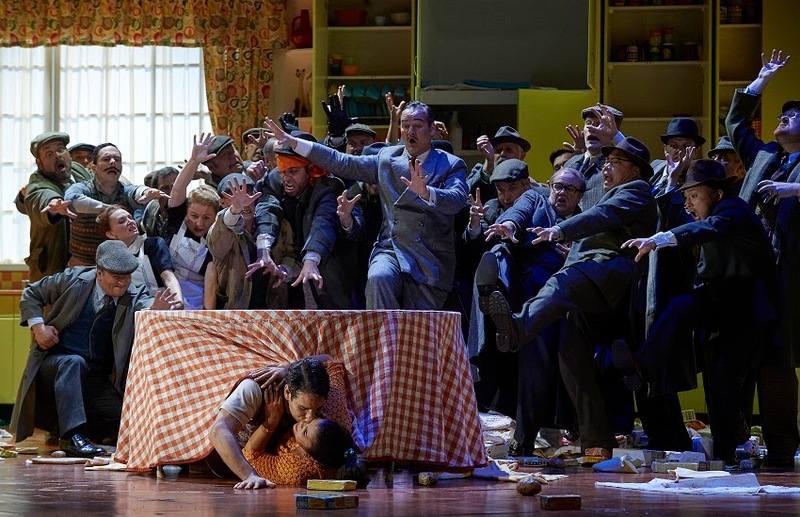 This Falstaff has already been staged at the Met and was part of the Met in HD series last year, starring the great buffo baritone Ambrogio Maestri. A comparison with the Met is inevitable, so the stakes are high. I am happy to report that our Canadian edition of this show is every bit as good. A lot of the credit goes to Gerald Finley. He possesses a gorgeous voice - that's never in question. 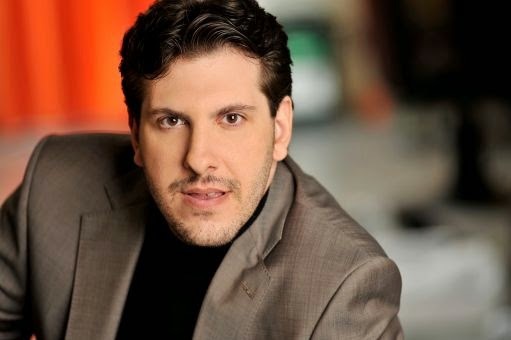 What surprises a lot of people is his comedic flair - how often does one encounter a singer who's not only perfect as the uber-angst Amfortas or a stately Hans Sachs, but also a rip-roaringly funny Falstaff? 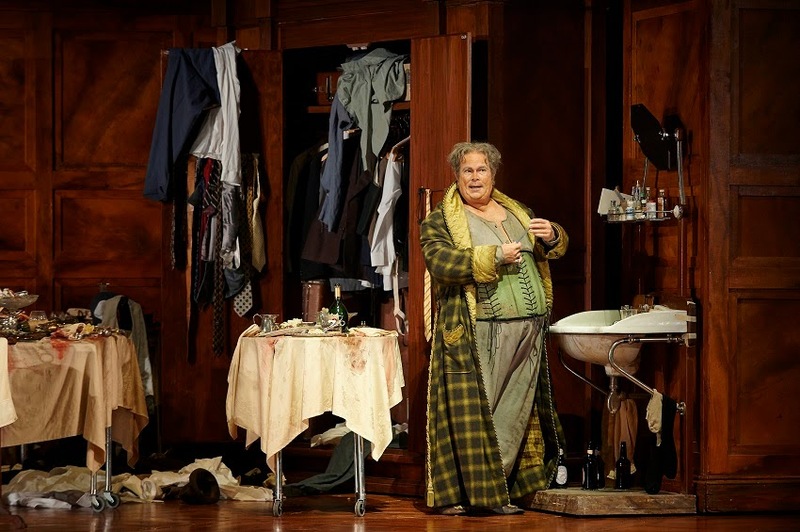 On opening night and looking delightfully corpulent in his fat suit, Finley sang thrillingly and acted up a storm, in a performance to cherish. It was so good to finally see Lyne Fortin on the COC stage, and she shined as Alice vocally and histrionically. Simone Osborne, vivacious of voice and stage manner, was an adorable, pony-tailed Nannetta, a perfect partner for the handsome and clarion-voiced Fenton of Frederic Antoun. It's not easy to be singing side-by-side with the golden-voiced Finley, but fellow baritone Russell Braun gave the star a run for his money with a thrillingly sung "E sogno o realta" And what can one say about Marie-Nicole Lemieux's droll and unusually youthful Dame Quickly, except to say that her rich contralto and comic timing are priceless? As a role Meg isn't terribly showy, but Lauren Segal's knockout voice and Vogue-worthy costume turned it into a starring role. Michael Colvin, with his bright tenor was an unusually well sung Dr. Caius. When it comes to physical comedy, you can't do better than the kleptomaniac Pistola of Robert Gleadow, whose banana-peel tumbles were totally convincing. Colin Ainsworth sacrificed his handsome looks to be a scruffy Bardolfo, but his voice remained princely. Robert Carsen for me is a fine example of a stage director who knows how to update and re-imagine a classic for a 21st century audience, at the same time remaining sensitive and respectful of the composer's intentions. He knows the Verdi score inside out, and he uses the many musical cues already supplied by the composer in his very detailed stage direction. His attention to detail is remarkable, down to the smallest props. Whie there's plenty of physical comedy in this production, there's nothing stock or stale about any of it. I've seen Falstaff literally dozens of times over the years, and most of the time these days I no longer find it funny enough to laugh. But last evening I did many times, heartily. Of course all of this is only possible if you have committed singing actors and brilliant staging. The COC ensemble cast is well rehearsed with razor-sharp timing, navigating the musically complex score with ease, under the helm of conductor Johannes Debus. Physically the cast also look perfect, so in a way, our singers even surpassed the Met's. 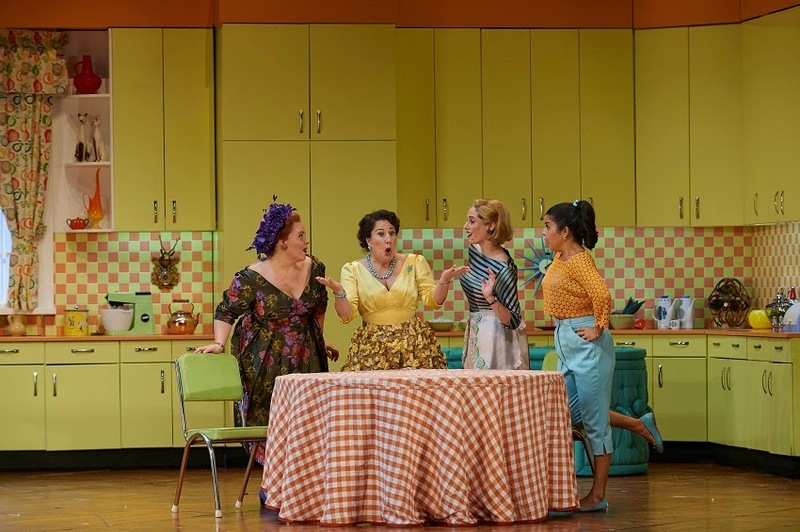 It's also worth noting that Carsen is a master in directing the chorus as an "organic whole," The COC chorus was in top form on opening night, with particular kudos to the men in the kitchen scene in Act 2 Scene 2. Carsen's way with a crowd is evident in almost every production of his, from the Munich Ariadne to the recent Les dialogues des Carmelites. He's one stage director I never get tired of. Conducting his first Falstaff, COC Music Director led the orchestra with a sure hand, drawing luscious yet translucent sounds from the pit, particularly the shimmering strings. Yes, this show is the stuff of memories for every opera fan. This disc of 22 Japanese children songs is a complete delight. Conductor Kent Nagano was singularly responsible for its genesis. The accompanying booklet gives a detailed account of how Nagano, a third generation Japanese from California, started researching these songs after hearing his wife sing them to their daughter. These hauntingly beautiful songs, newly orchestrated, were first heard in two live performances in February-March 2010 at Salle Wilfrid Pelletier in Montreal, and the part of the recording involving the soloist was recorded in Germany in June 2011. Nagano could not have picked a better singer or finer interpreter than Diana Damrau. In 2011, Damrau was experiencing motherhood first hand with her two children Alexander and Colyn. She brings the right qualities to these songs, not just vocal beauty but a palpable sense of love and tenderness – one can imagine her singing these to her own children. Damrau had a big success as Lucia in the Metropolitan Opera tour to Japan in 2011, right after the Tohoku earthquake and tsunami. I imagine how this visit inspired her to make this recording. Singing in Japanese must have been a real challenge for the German soprano. To my ears she is extremely convincing. But to be sure, I consulted a Japanese music colleague who is a native speaker. According to her, not only is Damrau’s singing wonderful, her diction is good. Damrau’s pronunciation of K and S are that of a non-Japanese, but other than that, she’s very good at articulating Japanese words. These songs are about Old Japan, from the late 19th Century to 1930, with sentimental text expressing a longing for the past. It really bears no resemblance to Japan in the 21st Century. These songs aren’t really sung by Japanese children today. However, one can still find them on the concert stage sung by professional singers, particularly sopranos and it’s still popular among middle-aged and elderly people. The Montreal Children’s Choir is absolutely lovely, and Kent Nagano conducts these songs leading Montreal Symphony Orchestra with great affection. The booklet with Japanese text and translations plus several essays is beautifully presented and informative. This disc is more than a curiosity, but one every music lover should explore. It ranks among the best Canadian releases of 2014.